Officially, Japan is a constitutional monarchy with the emperor as the head of state. Like the British queen, the emperor is basically a figurehead but one who receives a great deal of respect. Elected officials are considered to be erai (great, worthy of respect) and it is much more common than in Europe or the US for electoral seats to be 'inherited' by family members. The power of rural politicians tends to rest in their ability to satisfy their constituents by bringing infrastructure projects - roads, bridges, bullet train lines etc - to their region. The impression you get is that city dwellers tend to stay away from the ballot box in favor of interest groups and citizens' movements. Political news often dominates TV and newspapers but most Japanese do not get directly involved in politics and there seems to be a general sense of apathy towards the subject. (Enacted May 3, 1947) Japan's fundamental law, also known as the "Peace Constitution", was imposed on a reluctant domestic political establishment by the American occupation authorities after World War II. Despite such beginnings, it proved to be a remarkably durable institution which came to enjoy widespread support in Japan. It replaced the Meiji Constitution and instituted fundamental changes in the state and gave new rights to the people. These included the transfer of sovereignty from the Emperor to the people (preamble and Article 1), the concentration of executive power in the Prime Minister and his Cabinet (Articles 65, 66, 72-4), and the supremacy of the lower house of the legislature (Articles 67-71). It extensively guarantees human rights including economic, social, and religious freedoms. Article 9 of the constitution is perhaps the most famous and contentious, committing Japan to the renunciation of war and belligerency and renouncing the use of force to settle international disputes. Prewar Japan was governed by the Meiji Constitution of 1889. Though it was based on British and German parliamentary models, government elders saw to it that ministers were personally responsible to the emperor, who was the center of power. As these elders began to die off towards the end of the century, a political vaccuum opened up which led to power struggles between various factions. With the executive being weak for many years and the army and navy ministers being active servicmen, the military began to exert more influence in the 1930's. Following the so-called February 26th Incident in 1936, an attempted coup by junior army officers in which several senior politicians were killed, the military increased their power even more and laid the foundations for the Sino-Japanese War (1937-45) and Pacific War (1941-45). The constitution was revised, mostly by US government advisers, during the Allied Occupation. The current constitution was enacted in 1947. Emancipation for women was introduced and the voting age was reduced from 25 to 20. The government changed hands several times in the decade following the war but once the Liberal Democratic Party (Jiyu Minshuto) gained power in 1955, they held the reins for almost 40 years. The party's tight grip on power was helped by several things. The increased material wealth enjoyed by the nation, an election system heavily biased towards rural areas (where the party remains strong), close ties with wealthy business supporters, policy moderation, and a party system that always seems to be more orgainized than the opposition all led to a government that was full of corruption and arrogance. The many factions that make up the LDP have always clamored for their turn in power so changes of prime minister have been frequent. A new prime minister usually brings a new cabinet and the constant changeovers led to increased power for the bureaucrats, whose 'job for life' careerist attitudes have slowed or prevented real change in national policy. Decades of prosperity led the people as a whole to believe that the LDP was doing a good job. Only the late-60's saw nationwide campaigns that challenged the conservative government. Campaigns against pollution-related diseases and protests against the US-Japan Security Treaty and the Vietnam War were in tune with left-wing protest movements in other countries at the time. The student movement, in particular, became the center of national attention in 1968-9. Since that time, consumer and citizen movements have gained influence in issues affecting daily life. But the passive attitude of most Japanese towards party politics meant that even major bribery scandals which hit the LDP in the 1970's and 80's couldn't bring the party down. Only when the 'bubble economy' burst in the 1990's did any real changes begin to happen. The LDP lost power in 1993 and later had to enter a coalition government. 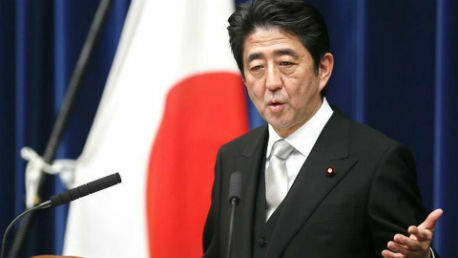 But even though it relies on coalition partners to stay in power, it is the LDP which pulls the strings and chooses the prime minister from among its ranks.